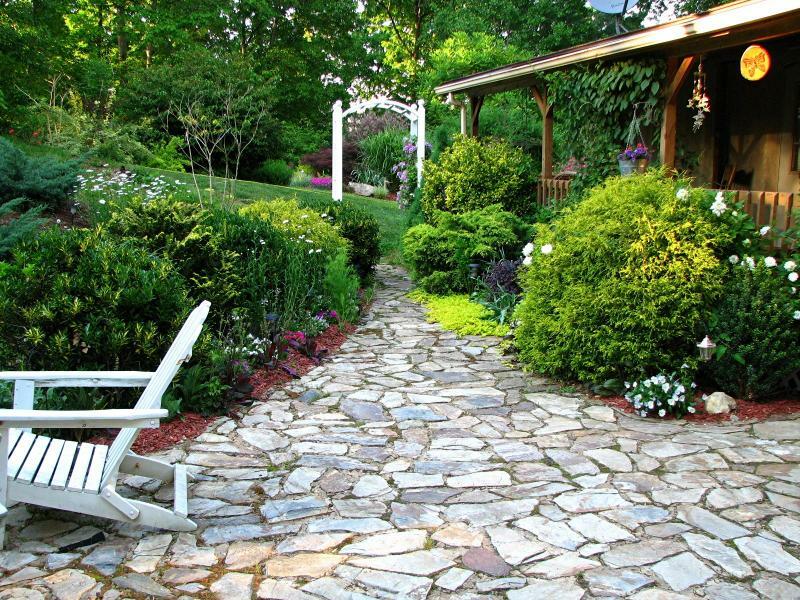 A beautiful garden path is an attraction in its own right, but pathways can serve many purposes in your yard. They invite you and your guests to stroll through the garden, admiring the plants and landscape. They provide a way to get from here to there without wearing a rut in your grass. Then theres that garden bench, strategically placed around a corner and hidden from view, a place for sitting in thoughtful solitude. Your garden path can lead you there. 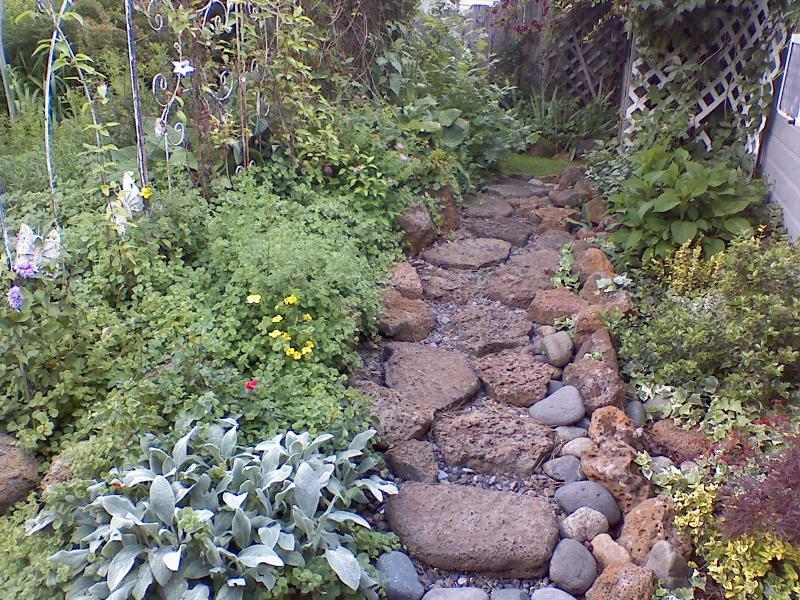 Garden paths provide interesting design elements to your yard, and adding a meandering pathway to your garden will also accomplish a number of other things. It will make your entire garden available for viewing from a variety of different viewpoints. It will open up areas that cant be viewed from certain vantage pointsa beautiful area of plantings that are blocked from sight by trees or other obstructions, for example. You can design your pathwayor a series of pathwaysto twist and turn to take in all of the beauty of your yard. 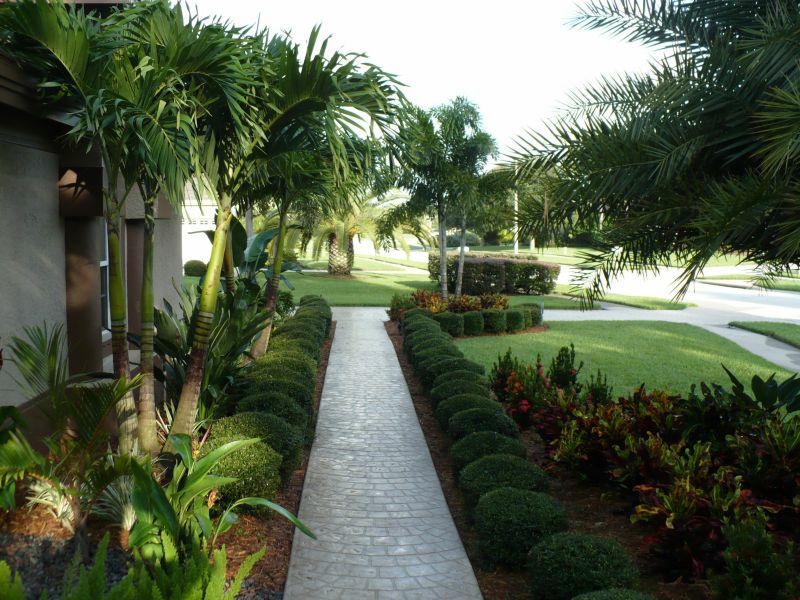 Your yard and the location of your property should help you in determining the materials you might use for your garden path. A more formal garden might lend itself better to straight lines that lead to a focal point. These walkways are often made of brick. Cottage-type gardens, or informal gardens, can have winding paths that disappear around curves, creating a bit of mystery as to what lies around the bend. These walkways can be made of a variety of materials, some of which are highlighted below. Artful Additions When planning your garden walkways, you might want to create special interests around each curve of the path with plants and artful objects. Consider adding a few artistic touches, such as a fountain, bird bath, vases or statuary. 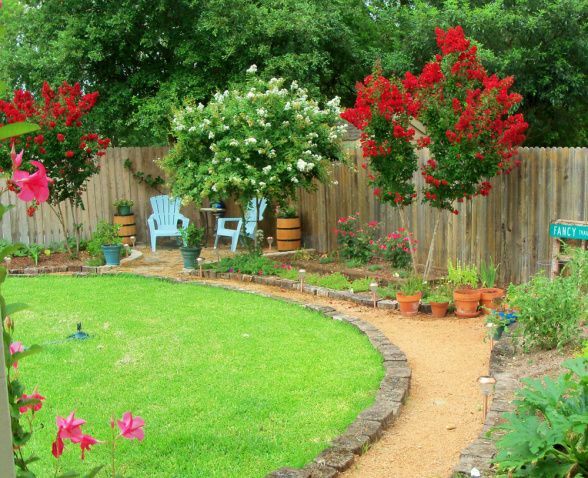 How about having the walkway lead underneath an arbor or garden arch covered with climbing roses or sweet-smelling vines? A small bridge to cross over a rocky or wet area? Or, create a wild area and mow a garden path through it, perhaps leading to a bench.